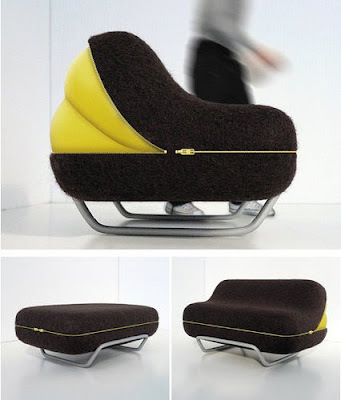 Cool seating design from french designer Olivier Gregoire called Pump It Up. This accent piece of furniture is so modern and cool that you may also like it. A chair or a sofa, completely according to your mood. Just Pump it up!